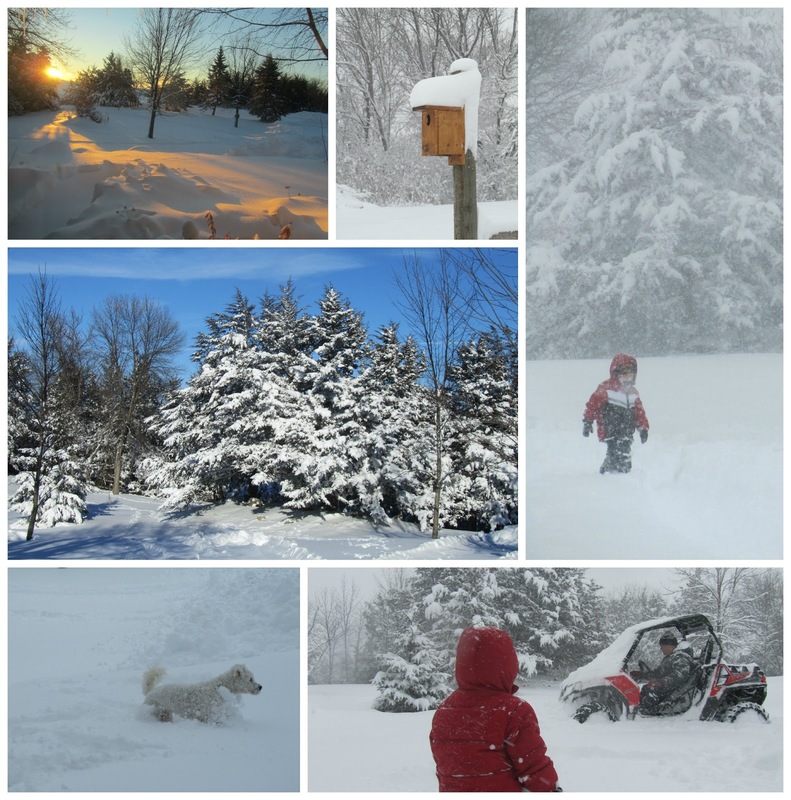 I almost feel foolish for having posted about all our snow fun on Saturday... a few hours after posting I heard that a big winter storm was headed our way, with over a foot of snow and a blizzard warning. The snow in our yard now is nothing like the few inches on Saturday :) Its everywhere and deep. Church was cancelled Sunday (including the little kids' Christmas program) and the plow didn't make it to our gravelly road until mid afternoon. We played in the snow LOTS while Dad cleaned the driveway and pushed snow away from the house (he was playing some too). Luckily it wasn't as windy as they were predicting so we don't have tons of new drifts or that much more snow to clear today. Schools are closed and it is bitterly cold. So glad we did our playing yesterday! Oh how my kids would love to experience this. Cornwall on the SW of England so rarely sees any snow at all. Do please join my Country Kids linky too, such wonderful photos.